This package is for those who want to know most of the highlights attractions of Costa Rica, starting on the Caribbean Coast and finishing on the Pacific side. 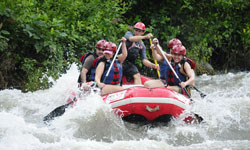 This unique adventure gives you the opportunity to discover the nature paradise that Costa Rica has with a special touch of adventure activities. This package is more than just a stay in Costa Rica, because it gives you the chance to interact with local people and learn about the culture and history of this country. In this trip you will visit Tortuguero National Park (north Caribbean), Puerto Viejo Beach (south Caribbean), Arenal Volcano, Monteverde Cloud Forest and Manuel Antonio National Park (central Pacific). 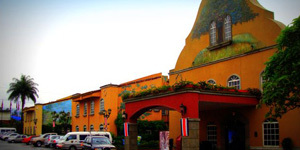 After the arrival in Costa Rica you will be met at the Juan Santamaria International Airport and transferred to your hotel in San José. At this time your guide will give you the overview of your trip and share some important information about Costa Rica and your package. Early morning transfer to Tortuguero - you will enjoy breakfast en route. After breakfast, we will continue to Caño Blanco´s dock. Here, we change the form of transportation and take a boat to our hotel in Tortuguero. In the afternoon, we will visit the Village of Tortuguero with a local naturalist guide. The guide will explain to you the history and the development of the village. After this tour, we´ll return to our hotel. NOTE: Turtle nesting season is from July to October and you can take an optional tour to admire this unique attraction at night. Early morning you will experience a boat tour accompanied by naturalist guide through the Tortuguero National Park. The extensive network of freshwater creeks and lagoons behind the beaches of Tortuguero are home to seven species of river turtles, Spectacled Caiman, Southern River Otters, a number of crustaceans, and over 50 species of freshwater fish. If you take a trip on a tour boat, or paddle a canoe through the freshwater canals you are also likely to see Spider, Howler and Capuchin Monkeys and dozens of species of birds. If you are lucky you might spot an endangered West Indian Manatee. NOTE: Entrance fee to the National Park is not included, it´s $15 USD per person. After this tour, you will return to your hotel to enjoy the breakfast. In the morning, you´ll have a hiking tour into a private nature trail. You will be accompanied with a naturalist guide. In the afternoon, leisure time to relax at your hotel. After breakfast, we have our transfer back to Caño Blanco´s Dock. Here we are going to change the form of transportation and get ready for the south Caribbean vibrations. After arrival to Puerto Viejo, you have some leisure time since in the afternoon you have a Caribbean cooking lesson with a local chef. This lesson would be in Puerto Viejo town and you will go to the assigned restaurant. This lesson is to learn how to prepare a Caribbean dish with the help of our chef. After this fun activity we´ll enjoy your dish for dinner. Overnight in Puerto Viejo beach. This day you will relax in Puerto Viejo Beach or some of the near beaches that are close by. You can also enjoy the amenities that offer your hotel or you can take an optional tour from our list of recommended tours for this area.Overnight in Puerto Viejo beach. Early morning you will be picked up at the reception of your hotel and transferred to Siquirres. After the arrival to Siquirres you will enjoy a delicious typical breakfast, and then get prepared for the rafting adventure. Upon arrival to the river we´ll gear you up with a life jacket, helmet and paddle, and then brief you with a full safety orientation talk. Finally, it is time to take off down the rapids! The first 4 miles consist of fun class II-III rapids which is a perfect time to test your new river skills and gain confidence in your team. Here you can find pockets of secondary growth forest that is extremely beautiful. After about 40 minutes, we enter the famous Pacuare River Gorge, which is 5 miles of some of the best white water Costa Rica has to offer. The main rapids here are "Cimarrones", "The Play Hole", "El Indio" and "Magnetic Rock". The forest remains just as lush, and the rapids just as fun. After this tour we will return to the operation center and change our wet clothes and continue with our transfer to Arenal Volcano area. Overnight in Arenal Volcano area. In the morning, you are going to visit one of the most interesting ecotourism projects in Costa Rica, which is the Arenal Hanging Bridges. You will be accompanied by a naturalist guide, walking through the canopy trees. In the afternoon, leisure and relax time into the natural hot springs of your hotel. After breakfast we have our transfer to Monteverde Cloud Forest, but this transfer would be on a different way called “jeep-boat-jeep”, because the first part of this transfer is by land, the second part is by boat, crossing the Arenal Lake and then continue by land. 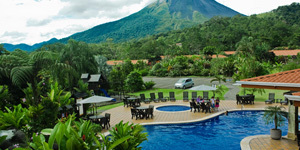 This transfer give you the opportunity to see unique views of the Arenal Volcano. In the afternoon, you´ll do one of the most popular cultural tours of this area, it is the Trapiche tour. 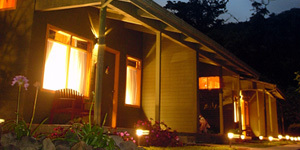 It is a Costa Rican family business where you can enjoy a 2 hours tour. The tour begins with a short walk through the farm where you can get a glimpse of plantations as sugar cane, coffee, bananas, plantains, tubers, oranges and more. Enjoy the entire coffee process, ride a Costa Rican oxcart and experience the process of making liquor out of the sugar cane, and to finish delight yourself with a fragrant cup of coffee. Overnight in Monteverde. After breakfast, we have a naturalist hike in the Monteverde Cloud Forest Reserve. The Monteverde Cloud Forest Reserve was established in 1972 and initially covered some 810 acres (328 ha) of forested land. Nowadays, its protective reach extends over 35,089 acres (14,200 ha) and encompasses eight life zones atop the Continental Divide. There are over 100 species of mammals, 400 species of birds, and 1,200 species of amphibians and reptiles living within its bounds. It’s one of the few remaining habitats that support all six species of the cat family – jaguars, ocelots, pumas, oncillas, margays, and jaguarundis – as well as the endangered three-wattled bellbird and resplendent quetzal. In the afternoon, you´ll get your adrenaline to the top with the Canopy tour (Zipline). Monteverde is a paradise for the adventure lovers and in this area is one of the best canopy tours of Costa Rica. You can take a pleasure of one of the most beautiful views of the region that can be observed during the tour. To reach the major heights, mix the extreme adventure together with the majestic forest and admire the rich natural beauty of the forest and its treasures. You will feel exciting emotions when doing the big Tarzan swing, the giant rappel, and feeling fantastic distance of each one cable. 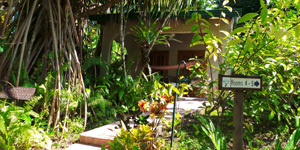 After breakfast, transfer to Manuel Antonio, located at the Central Pacific coast. In the afternoon, leisure time to discover this beautiful area, you can also relax at your hotel or we invite you to visit Quepos town. If you like to do some tour we also have some optional tours for this area that we recommend. Overnight in Manuel Antonio. This day you´ll visit Manuel Antonio National Park. Tiny it may be, but this 682-hectare national park epitomizes everything tourists flock to Costa Rica to see: stunning beaches, a magnificent setting with islands offshore (bird sanctuaries for marine species), lush rainforest laced with a network of welcoming trails and wildlife galore. You are guaranteed close-up encounters with monkeys, sloths, coatimundis, and scarlet macaws. What a gem! Free time in the afternoon. Overnight in Manuel Antonio. After breakfast we will have a leisure morning. In the afternoon, transfer back to San José for overnight. Overnight in San José. After breakfast, private transfer to the Juan Santamaria International Airport. 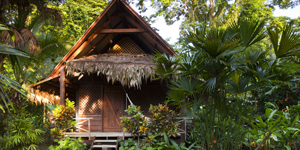 EXTENSIONS NOTE: You can also extend your stay in other areas of Costa Rica. If you are interested please let us know and we will advise the best option.